Think Fast and Hold On For Dear Life! Learn suggestions for how to keep yourself healthy and your composition together while facing daunting deadlines and impossible odds in your home studio. The inner workings of how Dan has organized the music department for Drunk History. Discover how to build and operate your ideal "music machine" environment. Tips on how to develop proper eating, sleeping, and break habits in order stay creative, productive, and positive in a high-pressure work environment. 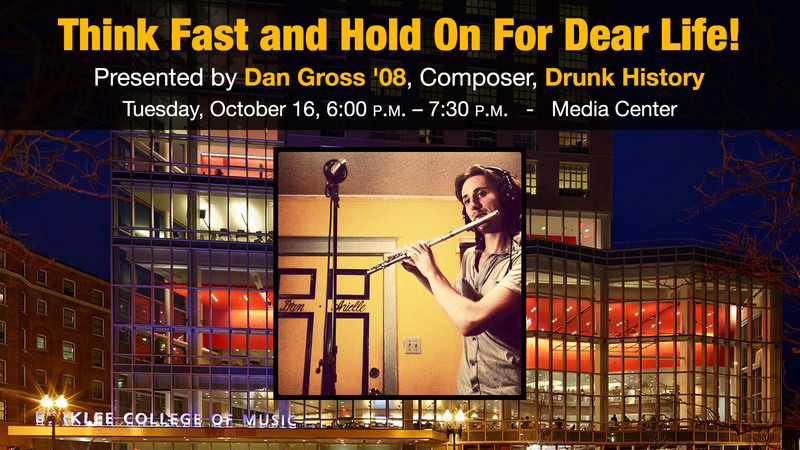 Originally from Lakeville, Massachusetts, Dan Gross graduated from Film Scoring in 2008 and moved to Los Angeles. He spent the next several years composing for a number of projects before he became the composer for Drunk History in 2013.